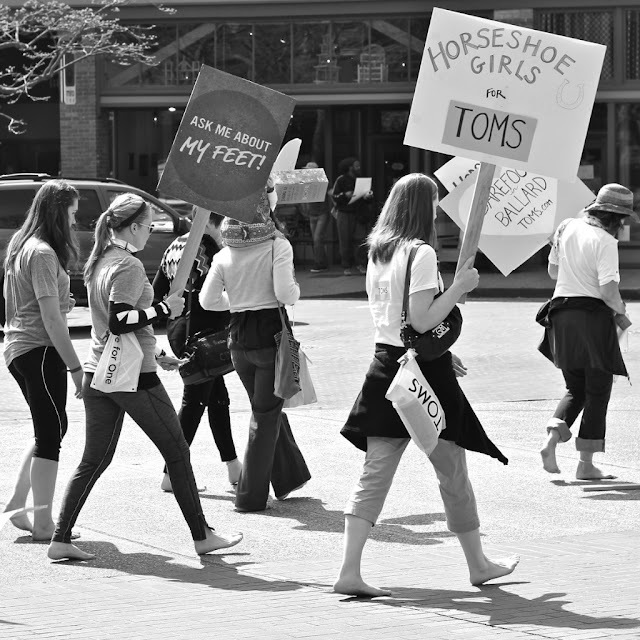 Horseshoe Boutique: A HUGE Thank you! 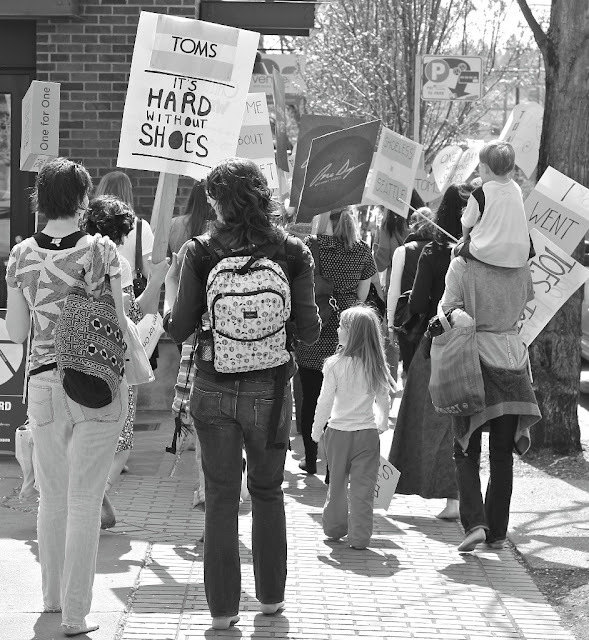 We had an extraordinary turn out for the "One Day Without Shoes" walk yesterday! This event was such a team effort and there's no way we could have done it without everyone who was involved. A big thank you to the lovely people at KEXP for having us on the air with John Richards to promote our event. In addition John made it his personal mission to continue to promote this event on air everyday leading up to the walk. More thank you's go out to Cupcake Royale for the delicious TOMS themed baby cakes, to Theo Chocolate, Jana's Wellness Center and Fly Fitness for contributing great prizes for our raffle. 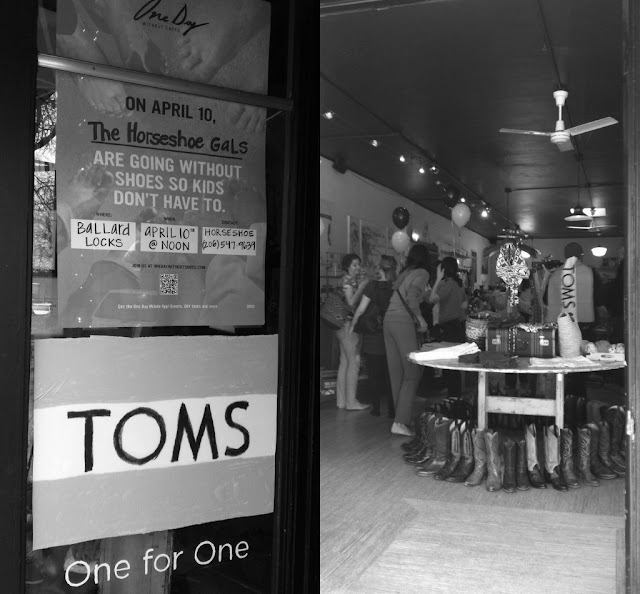 We're also grateful for MyBallard.com and The Seattle Times for their publicity of our event and to all the inspiring people at TOMS for their support. 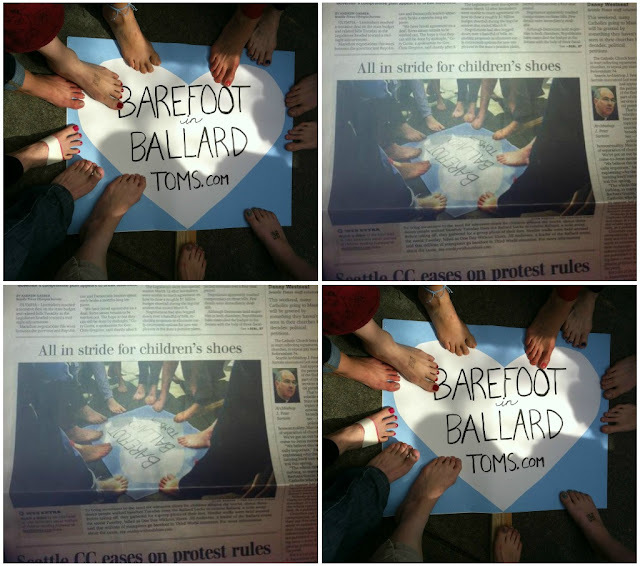 Last but not least we want to thank all of YOU who took the uncomfortable challenge to go BAREFOOT in the name of drawing awareness for a very important movement. The day was filled with contagious energy and a genuine spirit to do something right for others! A very special thank you for our two photographers, Kate Graves and Ellie Mansfield (who also went barefoot) for taking the time to capture this day! 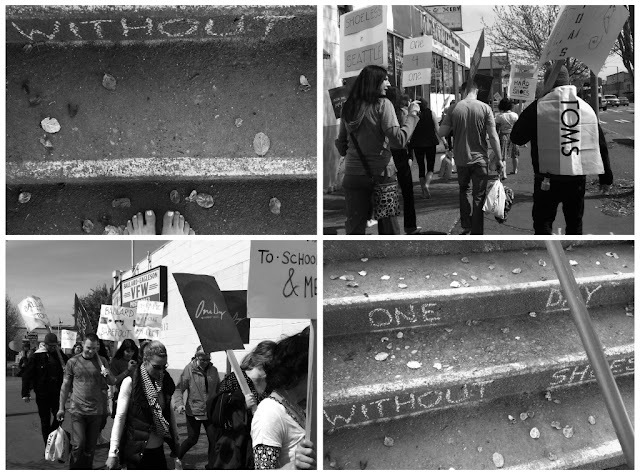 Below are some photos from the day and if you have the chance to pick up today's SEATTLE TIMES you just might see your tootsies on the cover of the NW Section!